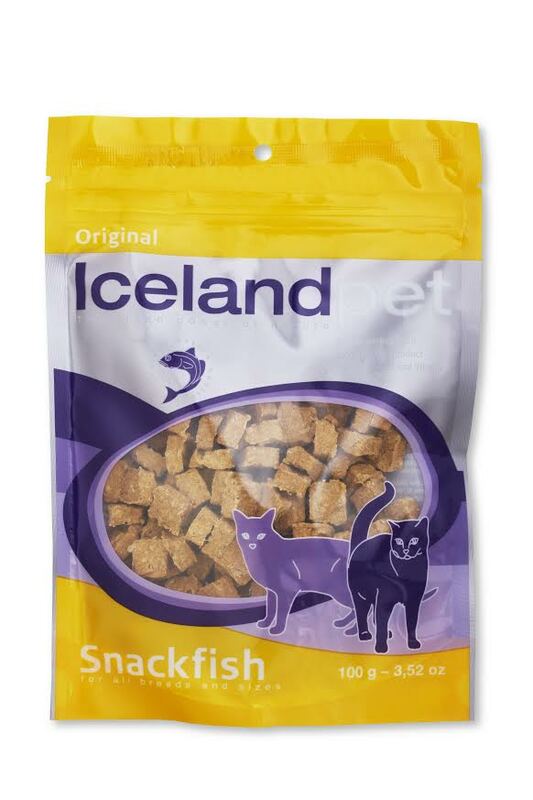 We pack our products in the conventional ICELAND PET bags, The yellow Snackfish bags or in private label bags, supplied by our customers. We can also pack the products in neutral plastic bags where our customers can add labels on the bags when they receive them. We can also supply the products in bulk. We ship in 10-16 kgs plastic bags in boxes to those customers that want to bag the products themselves.